Would you like the freedom to make money from anywhere in the world? Trade in an office, or from a beach hotel, you choose when and where you work when you’re a successful day trader. 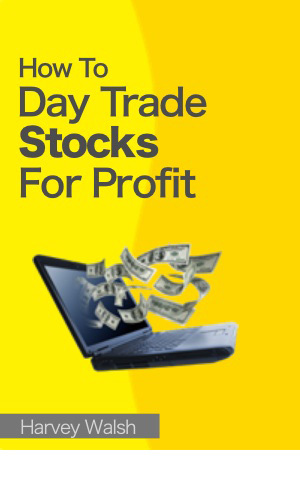 How To Day Trade Stocks For Profit is a complete course designed to get you quickly making money from the stock market. No previous trading experience is necessary. Easy to read and jargon-free, it starts right from the very basics, and builds to a remarkably simple but very powerful profit generating strategy. • What really makes the stock market tick (and how you can make lots of money from it). • The single biggest difference between people who make money and those who lose it. • How to trade with other people’s money, and still keep the profit for yourself. • Specific trading instructions, exactly when to buy and sell for maximum profit. • How to make money even when the stock market is falling. • The five reasons most traders lose their shirt, and how you can easily overcome them. • Three powerful methods to banish fear and emotion from you trading – forever. • How you can get started trading with absolutely no risk at all. • 14 Golden Rules of trading that virtually guarantee you will be making money in no time. The book is packed with real life examples and plenty of exercises that mean you’ll be ready to go from reading about trading, to actually making your own trades that put cash in the bank.